1 What Is A Vertebral Compression Fracture? A vertebral compression fracture is a fracture in the spinal canal. It happens when a vertebra, or backbone, decreases by at least 15% in height due to the fracture. In other words, a vertebra collapses onto itself and the soft tissue around it, causing compression. These spinal canal fractures occur most commonly in women who have gone through menopause (postmenopausal) and suffer from osteoporosis. However, they also can pose a health threat to some men. One-quarter of all postmenopausal females in the United States have had one of these fractures. There are other types of fractures in the spine. A burst fracture typically occurs after a high-velocity accident. Similarly, most fractures occur in the front bone of the spine. When the harder bones in the back compress and fracture, it’s known as a wedge fracture. These fractures are usually characterized by acute back pain. Other symptoms of a spinal compression fracture may include loss of height and muscle. Left untreated these fractures can lead to spinal deformity caused by the fusion of collapsed vertebrae. The deformity is referred to as kyphosis. You’ve likely heard of this condition as hunchback or dowager’s hump. Rarely do these fractures lead to nerve or spinal cord damage. Osteoporosis is characterized by bones that are weak and thin. This makes them more susceptible to fracture. It is the most common cause of compression fractures. Your doctor can diagnose osteoporosis. They’ll use an imaging technique called DEXA, or dual energy X-ray absorptiometry. The technique measures the density of your bone, which will be low in the case of osteoporosis. Trauma of the vertebrae of the spine can also lead to spinal compression fractures, even in those with healthy bones. If you’re younger than 55 and have no prior history of trauma or osteoporosis, you may want to talk to your doctor about metastatic cancers. It is rare, but one of the causes of unexplained spinal fractures. A metastatic cancer refers to the spread of cancer from one part of the body where it started (the primary site) to other parts of the body (secondary sites). This type of cancer causes destruction of the bone in the vertebrae. This leads to weakening of the bone and collapse. Cancer frequently spreads to areas such as the upper arm bone (humerus), pelvis, upper leg bone (femur), ribs, and skull. Many of the risk factors for these fractures are the same as those for osteoporosis. Approximately two-thirds of compression fractures are not diagnosed. However, if you’re aware of your symptoms and working closely with a specialized doctor, there are ways to diagnose this condition. Computed tomography (CT) and magnetic resonance imaging (MRI) can also be used. These can rule out other causes of back pain. Your doctor may also use nuclear bone scans to determine the age of your fracture. Most of these fractures respond to conservative treatment measures. In the end, many require no surgery. Your doctor will likely first recommend bed rest, but only for a short period of time. Typically, you should avoid prolonged bed rest. Early movement that is overseen by a physical, occupational, or recreational therapist can lead to better results long-term. Narcotic pain medications and muscle relaxants can be helpful in cases of severe pain. These groups of medications should be used with caution and for short periods, as there is a high potential for abuse and addiction. Furthermore, they can lead to severe confusion and disorientation, as well as a host of other side effects. In the majority of fractures, osteoporosis is a major contributor. In these cases, treating the osteoporosis can help, whether it’s identified before or after your diagnosis. Other methods for treating osteoporosis include taking calcitonin (Miacalcin). This has the additional benefit of decreasing the pain of compression fractures. You can also take calcium and vitamin D supplements. If more conservative therapies don’t work, you may need to undergo surgery to treat your fracture. The two most common surgeries to treat compression fractures are vertebroplasty and kyphoplasty. They are similar approaches, with small differences. In vertebroplasty, special bone cement is injected through a hollow needle into your fractured vertebra. In kyphoplasty, your doctor first inserts and inflates a balloon into the compressed space in order to expand the compressed vertebra. They then fill the space with special bone cement. Kyphoplasty has the added benefit of restoring height. Both vertebroplasty and kyphoplasty have high rates of success and low rates of adverse effects. However, they’re still surgical procedures, with risks. Only attempt these after conservative treatments have failed. Make sure to ask your doctor any and all questions you have about them. Vertebral compression fractures are synonymous with the collapse of vertebrae. They’re often caused by osteoporosis, trauma, and cancer spreading to bone. Only one-third of all compression fractures are diagnosed, usually with the aid of X-rays of the spine. Most vertebral compression fractures respond to conservative treatment. If conservative treatment doesn’t work, your doctor can also look into one of two minimally invasive techniques—vertebroplasty or kyphoplasty. Both of these techniques strengthen and stabilize your spine. This can decrease or relieve your pain. To learn more, talk to a pain specialist. You can find a pain doctor in your area by clicking the button below or looking for one in your area by using the tips here: https://paindoctor.com/pain-management-doctors/. Hoffmann RT, Jakobs TF, Trumm C, Weber C, Helmberger TK, Reiser MF. Radiofrequency ablation in combination with osteoplasty in the treatment of painful metastatic bone disease. Journal of vascular and interventional radiology : JVIR. Mar 2008;19(3):419-425. Song HM, Gu YF, Li YD, Wu CG, Sun ZK, He CJ. Interventional tumor removal: a new technique for malignant spinal tumor and malignant vertebral compression fractures without epidural involvement. Acta radiologica (Stockholm, Sweden : 1987). Oct 16 2013. Masala S, Lunardi P, Fiori R, et al. 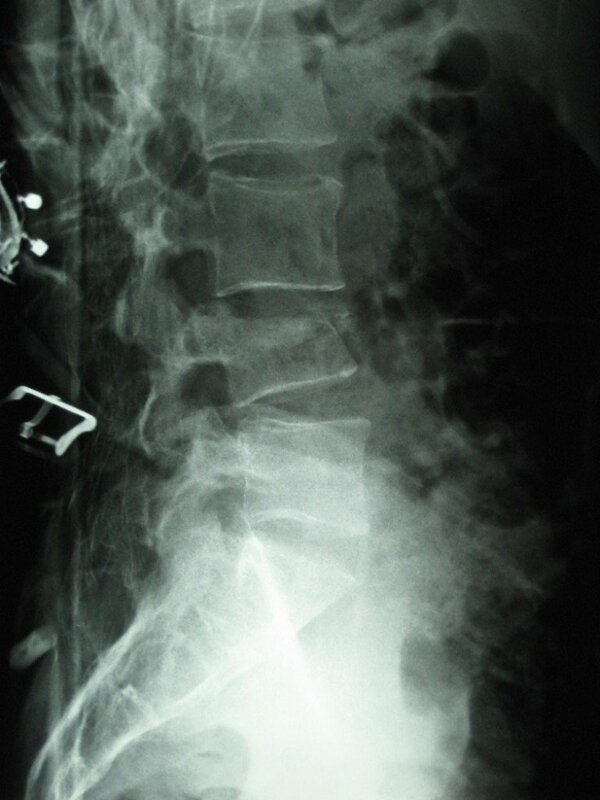 Vertebroplasty and kyphoplasty in the treatment of malignant vertebral fractures. Journal of chemotherapy (Florence, Italy). Nov 2004;16 Suppl 5:30-33. Shimizu F, Kawai M, Koga M, Ogasawara J, Negoro K, Kanda T. [Case of painful muscle spasm induced by thoracic vertebral fracture: successful treatment with lumbar sympathetic ganglia block]. Rinsho shinkeigaku = Clinical neurology. Oct 2008;48(10):733-736.